Community outreach, fundraising and awareness raising is a huge component of the what the Bears do as a club. Not only to we host our own Satellite club but also offer school outreach session, on a one off or more regular basis, corporate team building events, talks on disability and charity challenge games. The club relies on donations and fundraising to cover running costs. All coaches and management team members are volunteers and so all money raised is invested into the club, our players and their development. To create an inclusive environment for all, we aim to reduce costs associated with playing wheelchair basketball for the individual to close to nothing and, at some points, we have achieved our aim of providing a cost-free experience. The purchase of playing chairs – these can cost up to £5,000. The Bears are proud to say that we cover the cost of new chairs for our players. Subsidising playing kit – the Bears are proud to say that we offer cost-free kit to all of our team members. Costs of travel and accommodation for games – the Bears are proud to say that all accommodation required by the team for away fixtures and tournaments is covered by the club. Community outreach is important to the Bears not only to raise much needed funds, but also to raise awareness for disability sport and to publicise wheelchair basketball and the Warwickshire Bears. The main form of fundraising that the Bears conduct throughout the year, both in and out of season, is done through bag packing events. This provides an opportunity for players and coaches to get out into the community, meet and chat with members of the public and raise awareness for disability sport. It is also an excellent opportunity to raise funds, which are injected into the club in the form of funding items such as new kit, new playing chairs and sports hall hire. The Bears are fortunate to be partnered with Sainsbury’s Marshall Lake for the year 2017/2018, so you will find the teams at Sainsbury’s frequently, working closely with their fantastic team to get out into the community and raise awareness as well as funds. All teams at the Warwickshire Bears enjoy challenging themselves as well as one another, and are always looking for new opportunities and experiences. Sponsored pushes are a high demand fundraising event, through which the club seeks donations as they pledge to push a certain distance. These days are hugely enjoyable with family and friends also getting involved to push too, or simply to walk alongside. Informative talk surrounding disability: A more general discussion/ In sport/ In the work place | Team building through exercises involving wheelchair basketball e.g. basic chair and ball skill games | A challenge game against the 1st Team. A regular after school club – children would be taught the fundamentals of wheelchair basketball and encouraged to develop their skills and talent. The children would be coached by our senior coaching team. | Informative talks surrounding disability and disability sport. | An adaptation of our Corporate team building events (see above). | Challenge games – children would be split into two teams and play against one another, or have a chance to take on the Bears. Sponsorship packages and one off donations. The Bears are also immensely grateful for one off donations or offers of sponsorship. The club values sponsor relationships highly and enjoys working closely with sponsors to form a partnership that incorporates the deliverables of both parties. 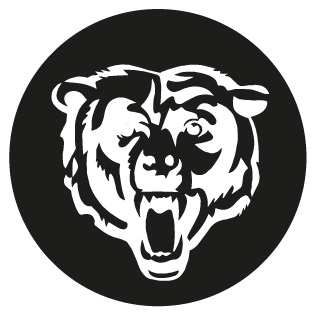 The Bears offer Sponsorship and Donation packages, that set out a clear guideline of the costs associated with the sport and provides individuals and organisations with the opportunity to fund a specific aspect of the club. All donations, no matter the size, are welcome and appreciated. ** Please contact senior management team for proof of appropriate DBS and other.